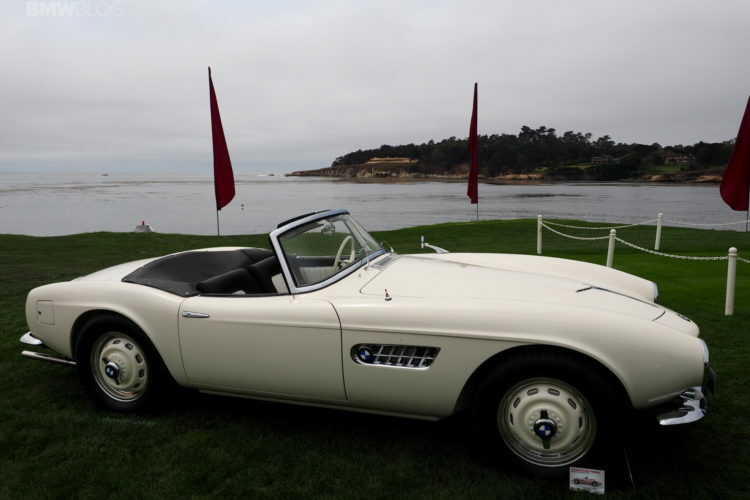 Elvis Presley’s BMW 507 made its tour at different venues during the Monterey Car Week before ending up on the beautiful lawn at Pebble Beach Concourse d’Elegance. The immaculate white-painted 507 was one of the main attractions on the extremely expensive golf course where hundreds of iconic classic cars were being displayed. 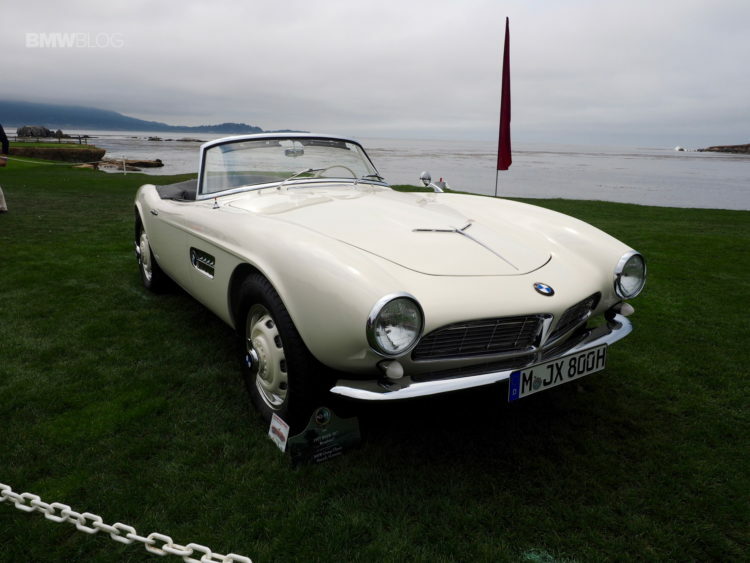 BMW produced only 253 examples of its 507 sports car in 1957 and one of them, chassis 70079, belonged to the legendary Elvis Presley. 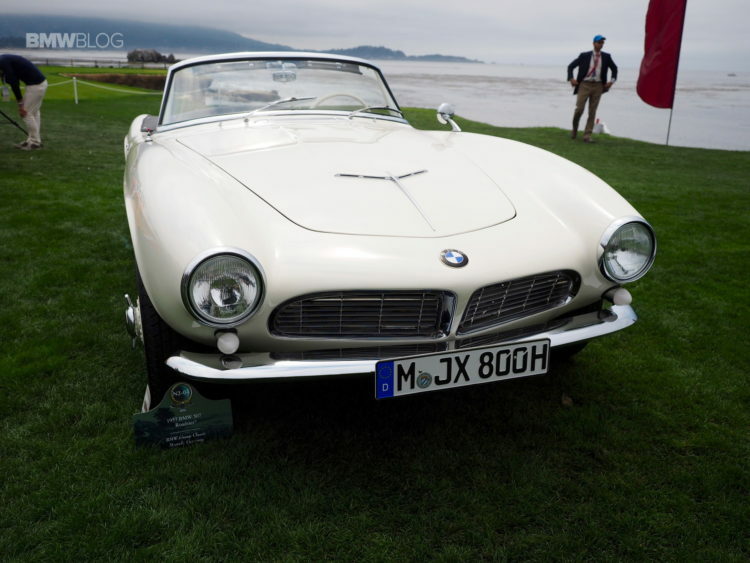 The recently discovered in northern California and then restored in Munich, the car formerly owned by The King was shown to the public for the first time last week in Monterey. The 507 was launched in 1957 at the Frankfurt International Motor Show and the car was used for test drives by the automotive media in addition to being raced several times by Hans Stuck. Presley managed to obtain the car in December 1958 while in Germany. He drove the 507 until he completed his military service in March 1960. After Presley left the car behind, it was painted red and shipped to the United States by a different owner. Just a few years later, the 507 was purchased by Jack Castor. More than 40 years later, the King’s 507 was discovered in a warehouse located in Half Moon Bay, south of San Francisco. 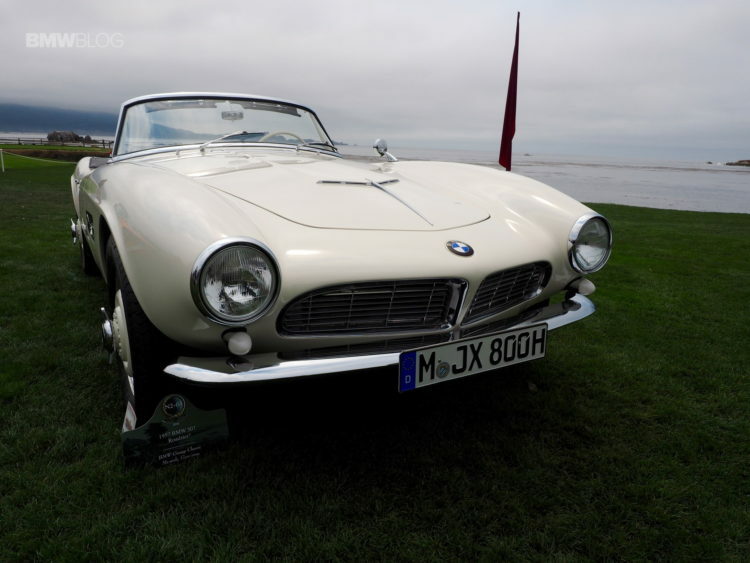 This car was completely restored, and painted in Feather White with a black and white interior, under the direction of BMW Group Classic and will now be handed over at the start of the Concours d’Elegance to Ron Gilmartin, a long-time friend and companion of Jack Castor.